The Department of Oral and Maxillofacial Surgery provides the highest standard of surgical care for patients with benign and malignant tumors of the head and neck region, soft and hard tissue trauma of the oral and maxillofacial region, dentofacial and cleft deformities, and basic oral surgical procedures including removal of teeth and the placement of implants. The Oral and Maxillofacial Surgery residency program is fully accredited with two programs available from which to choose: four-year residency program or six-year integrated residency and MD program. 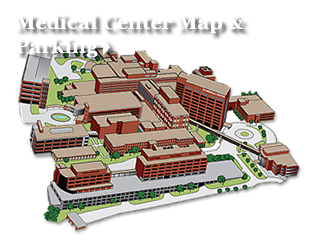 Both programs are integrated in The University of Tennessee Medical Center, a tertiary-care institution with Centers of Excellence in the Trauma Center, Cancer Institute, Women's Healthcare, the Brain and Spine Institute, and the Heart, Lung, and Vascular Institute. The Oral and Maxillofacial Surgery Research Laboratory supports the faculty and residents of the Department of Oral and Maxillofacial Surgery performing clinical research on the molecular aspects of oral/head and neck cancer, bisphosphonate related osteonecrosis of the jaws and in bone healing. David A. Gerard, PhD, Professor of Oral and Maxillofacial Surgery, is the Director of Research. He was awarded the Excellence and Leadership in Basic Science Research Faculty Award in 2008. Collaborators include the University of Tennessee College of Engineering, Oak Ridge National Laboratory, and the University of Tennessee College of Veterinary Medicine. 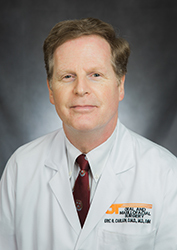 Eric R. Carlson, DMD, MD, FACS, came to the UT Graduate School of Medicine in 2002 as Professor, Chairman and Residency Program Director of the Department of Oral and Maxillofacial Surgery. He was previously the Director of the Tumor and Reconstructive Surgery Service and Director of the OMFS Residency Program at the the University of Miami.